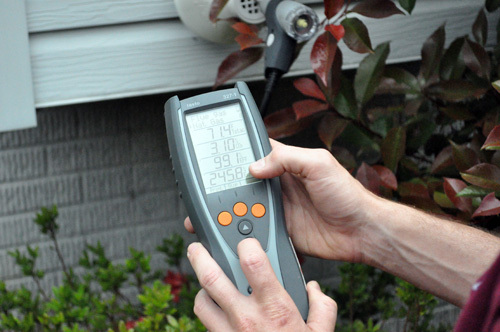 Duct Carbon Monoxide Testing Melbourne is very important for homeowners with furnace or fireplace, Call us on 0425 029 990 for duct work testing Melbourne at Lotus. Using natural gas to heat your home has a number of benefits over other fuel options. Natural gas is lauded for its clean burning characteristics, as well as the great efficiency which it offers. It is also a relatively affordable fuel source, and the fact that it is piped directly to your home means that you won’t have to worry about scheduling deliveries. However, as with any fuel source, there are certain risks that come with the combustion of natural gas. More specifically, with its incomplete combustion. Fossil fuels can emit a gas known as carbon monoxide, and this can be quite dangerous. Fortunately, Lotus Cleaning is here to provide you with the carbon monoxide testing and carbon monoxide detector services in Melbourne, that you need to protect yourself from the dangers of carbon monoxide exposure. Clearly, carbon monoxide is not something to fool around with. Neither is your carbon monoxide detector. You need to know that this piece of equipment is going to operate properly, without fail, if you hope to sleep soundly at night. When you schedule your carbon monoxide detector installation with us, you will have no doubt about it. Our certified technicians use only the finest products, and they will ensure that your carbon monoxide detector is installed properly and functioning effectively. Should you have an old carbon monoxide detector that fails, we are happy to provide you with a replacement that you need to protect your home. Just let us know what concerns you have. Your comfort is important, but your safety must be protected at all costs. Carbon monoxide is one of the biggest threats to the household, but it is simple to prevent exposure to this deadly gas. Call Lotus Cleaning in Melbourne today to learn more about the carbon monoxide detectors. When we handle the installation of your Carbon Monoxide detector, you can trust in the quality of the product and that of the workmanship we offer.